Congenital Heart Failure is a devastating problem that can occur in infants soon after they are born or within a few months to a few years. These children are often VERY ill and in the hospital with continuous monitoring. Many of them wait in the hospital for the hope that may never even come- a heart transplant or a cure for congestive heart failure. In fact, studies show that NONE of the modern advances in medicine have improved survival rates in these children for decades. or death has not improved during the past 35 years." So, therefore if your child has pediatric heart failure in the year 2009, she has no better chance of surviving than had she been born in 1974! That is surely a sad state of affairs in industrialized western nations that spend exorbitant amounts on health care and have developed incredible health care technology in the past 3 decades. But what if some of these children are sick and dying with so-called congenital heart failure unnecessarily? What if there is already a cure for SOME of these children, but that doctors are just simply not aware of it, don't know how to test for it and wouldn't know how to treat it properly anyway? Well, this actually is the case for some children- and the reason that doctors don't know about it and don't test for it- is that these problems are NUTRITIONAL. Drugs won't work, life support won't work- only nutrients will improve congenital heart failure in these children. And when they DO have these problems and are treated for them- these children get well, go home and many recover completely! All with simple nutritional supplements. And because these problems are SO easy to test for and SO simple to remedy, it would seem logical to check EVERY child with life threatening congenital heart failure for these simple problem- yet almost none actually are. Unfortunately, there is an across the board denial that children born into western first-world countries could POSSIBLY have nutritional deficiencies. And therefore, these deficiencies are almost NEVER looked for- even though these children are often waiting in the hospital to either die or to get a heart transplant. When any of these causes of pediatric heart failure are identified and treated,, the children that are affected often get better, go home and make a full recovery! Read that again. Supplementing deficient children with the right Nutrition for Heart Failure can save their life! While certainly not ALL children HAVE these deficiencies, many children do. And if a child has Congenital Heart Failure, doctors should have the obligation to do everything in their power to determine if these problems are the cause- yet this almost never happens in hospitals today. Maybe that is why the chances of these children leading a normal life haven't improved in over 30 years. 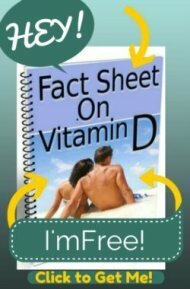 Vitamin D ONLY comes from the sun, fatty fish, supplements and fortified foods. But most of us get little to no sun for fear of skin cancer and eat very little fatty fish. Fortified milk has a MINUTE amount of vitamin d that is designed to prevent rickets in children- not meet the needs of an adult. Because of this, research shows that up to 85% of people- including healthy women- are vitamin d deficient, many severely so. Yet somehow we are supposed to believe that children born to extremely vitamin d deficient women are somehow born fully topped up with vitamin d and get plenty in the breast milk from their vitamin D deficient mothers. What does all of this have to do with congenital heart failure? Vitamin D Deficiency has been shown to be an unrecognized cause of a form of infant heart failure called cardiomyopathy. Those that are identified and treated before there is permanent damage to the heart- can recover fully and go on to lead completely normal lives! Yet Vitamin D is never routinely checked in these children. In many cases it is practically accidental that the doctors find out that the child has severe Vitamin D Deficiency. Doctors believe that unless children have a low blood calcium level, then they don't have Vitamin D Deficiency. But Vitamin D Deficiency can and does cause altered calcium Metabolism without changing calcium Blood Levels- and children are DYING because doctors coming to a wrong conclusion and will not check Vitamin D Levels in these very sick little patients. Carnitine deficiency is another cause of congenital heart failure that is often completely overlooked until children in the same family have already died from infant cardiomyopathy. It's only after these other children have died that THEN doctors suspect that the child might have a form of familial cardiomyopathy from a defect in carnitine metabolism. But instead of being routinely tested with a simple urinary test or routinely supplemented with this inexpensive and extremely safe supplement- doctors are letting babies die because they simply are not aware of the possibility of this inborn error of carnitine metabolism. then these little patients will likely go on to die from 'Idiopathic' or 'Congenital' heart failure. Selenium deficiency is another cause of so called Congenital Heart Failure that doctors simply don't look for and therefore never find. But selenium deficiency leading to heart failure is actually quite common in parts of the world that have low selenium in the soil. In fact, its name is Keshan Disease after the area in China with low selenium where it was first identified. And while doctors in areas with low selenium levels are trained to look for this problem, doctors elsewhere are simply not aware of this problem and mainly believe that a patient in a first world hospital could never have a nutritional deficiency be the cause of their life-threatening symptoms. But many researchers believe that low selenium levels are much more common than previously thought and may be contributing to immune system problems and heart disease in adults. But in children, this unrecognized problem may be causing many cases of lethal congenital heart failure. Selenium is one of these nutrients that people just KNOW that they MUST be getting enough of, even though they eat almost no foods that contain selenium. So, in our nutritionally poor society where breakfast cereals and white bread are common meals, it's easy to see how newborn infants could be so selenium-poor that they get congenital heart failure soon after birth. 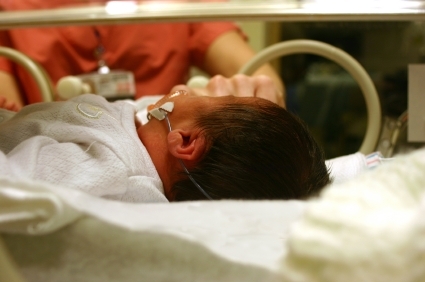 "Selenium deficiency is much more common in small infants than is generally realized but the clinical significance in neonates is poorly understood." The above study states that 'the clinical significance [of low selenium levels] is poorly understood.' But the clinical significance is that these children get HEART FAILURE from low selenium! Other studies show that pregnant women get lower and lower selenium levels as their pregnancies progress and that infants' selenium levels at birth continue to drop for the first 3 months of life. These findings should make every clinician who works with infants with Congenital Heart Failure want to check these babies for selenium deficiency- sadly, few doctors even consider it and these children suffer because of it. Unfortunately, none of our advanced medical techniques account for nutritional deficiencies and therefore these super simple problems are not looked for and therefore not found. Vitamin D, Carnitine, Selenium and Coq10 are absolutely vital nutrients for the heart health of infants. Because no one can possible believe that infants in the western world are deficient in ANYTHING- kids are dying in the most advanced countries in the world for lack of VITAMINS with their doctors completely unaware of these simple to remedy problems.